Hosta ‘Undulata’ have wavy leaves with a white center and produce lilac flowers in the summer time which attract bees These are a very popular perennial due to their versatility and are easy to grow and maintain. 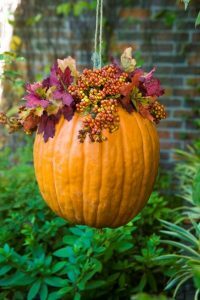 They prefer moderate shade with well-drained soil and will grow to be about 15 inches tall by 30 inches wide. 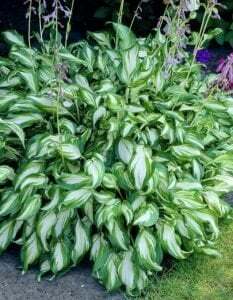 Plant hostas with other perennials in a shady area or mass them as a ground cover.